Origin and Habitat: Southern Bolivia, northern Argentina. 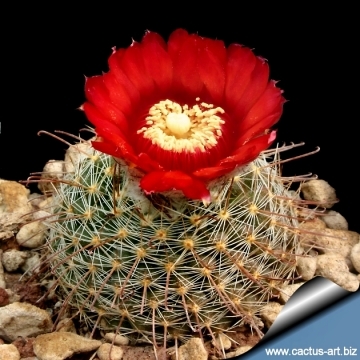 Description: Parodia microsperma subs. sanguiniflora best known as Parodia sanguiniflora is only a variant of the extremely variable Parodia microsperma. 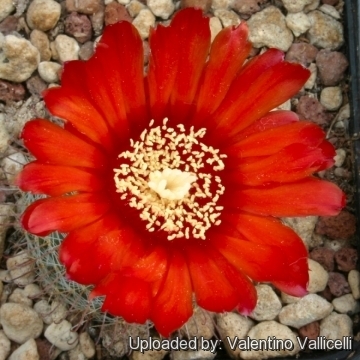 Characteristic of this cactus are its carmine to brownish-cinnabar filaments of the stamens (hence the name) and its blood red flowers. 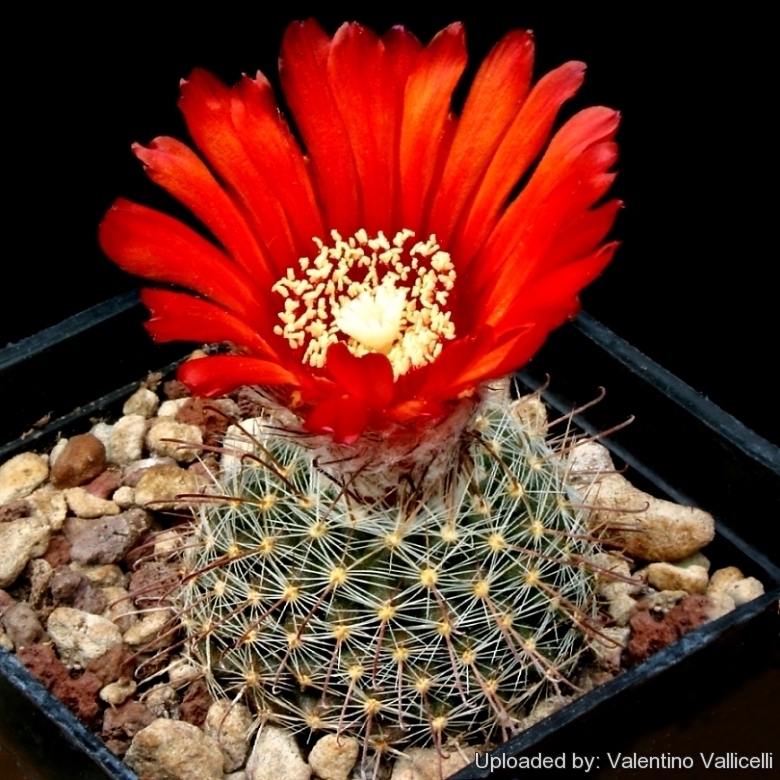 Similar varieties: It is very similar (if not the same) with Parodia microsperma var. rubristaminea, and the two plants are not readily distinguishable, if not for the geographical provenance. Radial spines: 10 to 18, 4-10 mm long, usually straight, more or less sideways directed.